Seen here is one of the 32 ‘open wall’ rooms at the Ladera Resort in St. Lucia, where every room comes with its own plunge pool. Located in an UNESCO World Heritage Site, Ladera is located on the southern end of St Lucia just outside the port town of Soufrière. 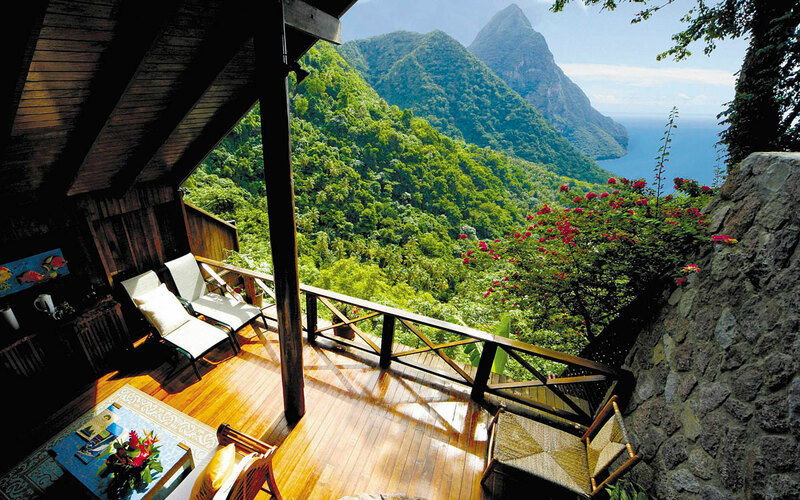 It sits on a forested ridge at 1,100 feet overlooking the volcanic Piton Mountains and the Caribbean Sea. Opened in 1992, the resort is known for its distinctive eco-lodge architecture, built with Caribbean timbers and modelled on luxury tree-house living. The suites were intentionally built without a fourth wall, yet are designed to be sheltered, safe, and private.